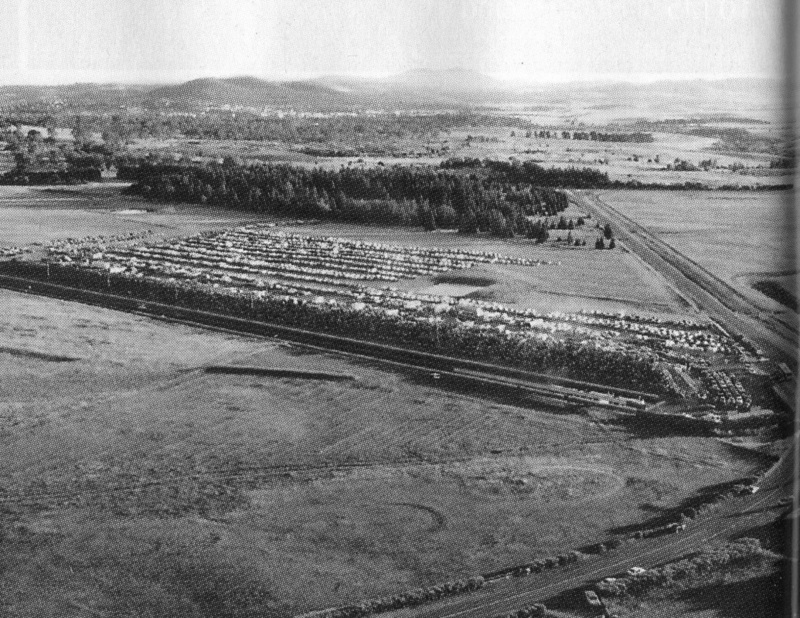 A Drag Strip only became a part of the ACT's motorsport life in 1979 when a section of Pialligo Avenue was closed off because of road upgrades around Canberra's Airport, This section of road was ideal at the time, The 1/4 mile strip ran adjacent to the Airstrip. This arrangement worked fine for all concerned for a while, The competitors put up with the narrow bumpy asphalt surface that was lined by standard farm type fencing, The area was quite over grown with tree's and scrub. Drag Racing continued at the venue up until 1998 and that about when it all started to crumble, The Government offered a lease on the site of ten years plus a ten year option, Conditions attached to this lease such as, A complete new strip was to be built with the racing direction to be turned around, These conditions set down by the Government would see an end to drag racing at the strip, The cash strapped organisation simply could not afford the improvements. The venue lay disused for a period, until a group of Businessmen negotiated a new ten year lease, with a ten year option, with the government to build a new 1/8th mile strip, This would secure the ACT's Drag Racing future for the next twenty years and beyond. 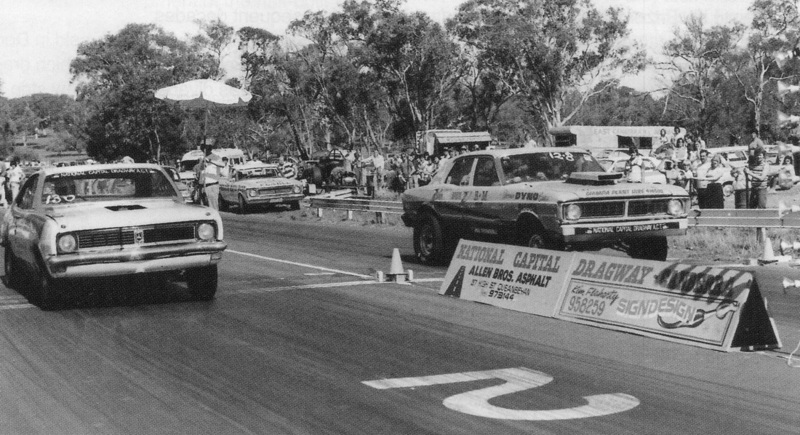 Of all things, who would of thought that the Government selling of the Airport next door would cause drag racing's failure in the ACT, The new owners of the airport protested long and loudly to the government about the drag strip on there boundry, Eventually the private owners of the airport won and the drag strip closed.